Yonex is the best selling and most rated badminton racket brand in India. This Japan based company have leading presence in Indian market. They have manufacturing units in Japan and Taiwan . Company recently started manufacturing its rackets in India also. Yonex rackets are widely popular in India and most of its competitors are struggling to pick up in the market. Not only rackets, they also sell a range of industry leading badminton shoes, rackets for other sports, apparels and a wide range of sports goods. Yonex is continuously innovating and coming up with new technologies to keeps its leading position. Many advanced/intermediate level players are looking for the best badminton racket under 4000 Rupees. 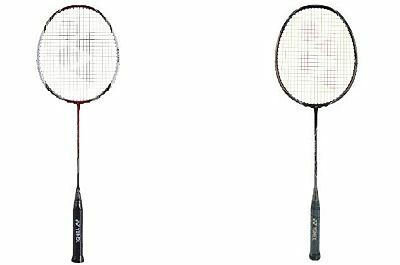 Here we compare Voltric 5 and Voltric 7, two of the best selling rackets under this price range. Yonex voltric series tries to combine Power and fast racket handling for players who need all round performance. In this series itself, a total of 18 rackets are available. All of these rackets use Tri-voltage system by Yonex. Description All round model for well-balanced repulsion and handling. Standard model for mid-range players for good racket handling and power. Both are good rackets in its price range. Comparing with voltric 7, voltric 5 is more expensive. Beginners can go for voltric 7 and intermediate players may go for Voltric 5 .